Frown lines are caused by the repeated movement of the glabella – the muscles in the frown. As a general rule the stronger the muscle the deeper the line and the more units that you need to stop the muscle contracting. Sometimes it takes more than one treatment to fully reduce the appearance of the frown line. 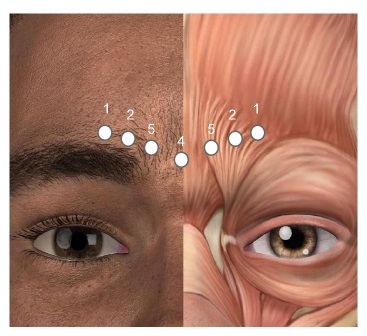 How are frown/brow lines treated? Anti wrinkle injections are very effective at getting rid of these lines of up to 4 months. We inject small amounts of anti-wrinkle product into the frown area which relaxes the muscles and prevents you from frowning. People will not guess you have had treatment because reduced movement in the frown area is not obvious to others. It will look great and people won’t be able to guess why. The video below shows Dr Brown from Cityskin treating a patient’s frown and forehead. 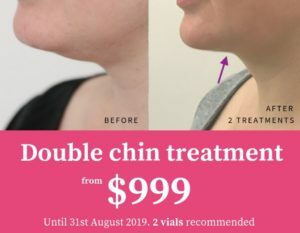 It is a relatively quick procedure that can be performed on your lunch break or if you pop out for the afternoon. How many units and injections do I need? A unit is a measure of anti-wrinkle product. The amount of units depends on the strength of the muscle and the bulk of muscle being treated. As a general rule we use between 15 and 25 units to prevent the frown muscle from contracting. How do you treat frown lines? We almost always inject the frown using 7 small injections, shown in the diagram below. The circles represent injection points, with the number of units injected shown above. You can see how we use more units in the centre of the frown and less at the outside. We use very small needles to perform the injections. Read more about anti-wrinkle units here. Anti-wrinkle injections take between 5 and 10 days to take effect depending on the brand used and should last for up to 4 months. 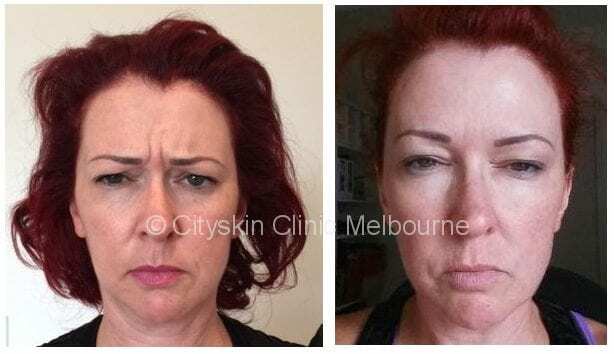 Below are examples of Cityskin patients having their frown lines treated. After photos are taken approximately 2 weeks after treatment. In this video Dr Jonathan Brown from Cityskin discusses how to treat frown lines.